Considering how much time we spend on the road, whether it be commuting to work or making a quick trip to the bank, the high number of car accidents is a scary statistic. But when you throw distracted and reckless drivers into the equation, car accidents become harder to avoid and even more dangerous. Lynn Harris is a car accident lawyer who works with victims in Salt Lake City and Provo. Although a car accident can be just enough to dent your fender, some are serious enough to cause severe personal injury, and even death. Some victims of an auto accident sustain permanent debilitating injuries that have a major effect on their way of life. Some people face high medical bills and may be unable to return to work after car accidents occur. 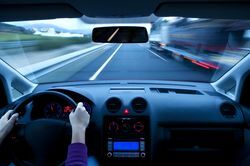 When negligent or reckless drivers cause car accidents, victims are usually entitled to compensatory damages, including the cost of medical bills, property damage, lost wages, and pain and suffering. Victims of car accidents may also be entitled to punitive damages, which are meant to punish the defendant for their reckless behavior. Those that have been in car accidents in Provo, Utah can seek the help of car accident lawyer Lynn Harris, who has won positive settlements for cases involving car accidents. For victims of car accidents, there are several steps you can take to build a strong case. You should always collect information from the other driver, including name, address, and phone number, insurance company name, and names and numbers of witnesses to the car accident. You should also document any personal injury you suffer and document damage done to your car due to car accidents. For an experienced Utah auto accident attorney in Provo, Lynn C. Harris - Attorney At Law is the right choice. After car accidents, you should notify your insurance carrier right away and seek the assistance of an experienced attorney specializing in auto accidents. If you or a loved one has been the victim of car accidents, product liability, or brain injury, contact a personal injury or wrongful death lawyer in Provo, Utah near Salt Lake City today. "Pauline was injured in the Twin Falls Hospital. She was given a tetanus shot in her buttock, which permanently damaged the sciatic nerve. We chose another lawyer and a month prior to the court date he had completed only a few depositions and had not called any of the doctors. He was supposed to be a good attorney, but he was not willing to put any money or effort into the case."